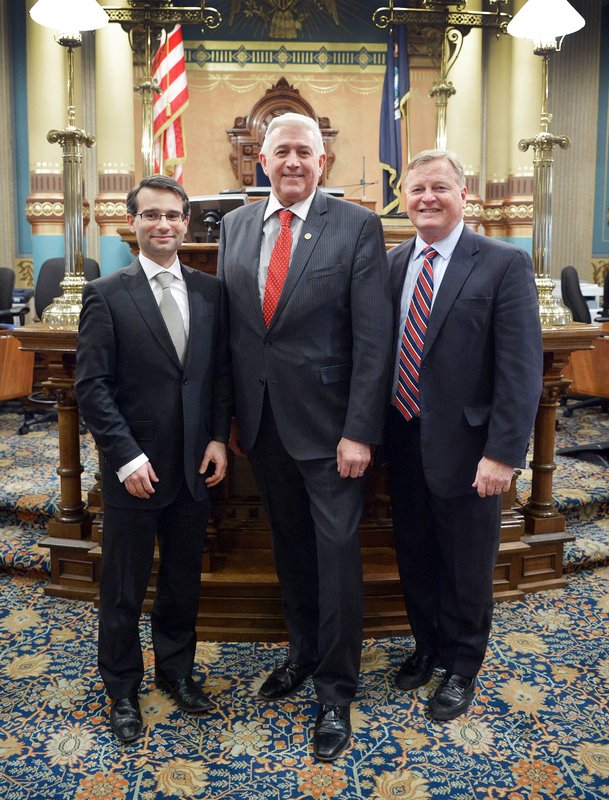 LANSING, Mich. — State Sen. Ken Horn, R-Frankenmuth, welcomes Nexteer Automotive President and Global Chief Operating Officer Laurent Bresson (left) and Saginaw Chamber of Commerce President and CEO Bob Van Deventer (right) to the Michigan Capitol before Gov. Rick Snyder’s 2016 State of the State address. Bresson and Van Deventer were Horn’s guests for the annual address Tuesday night.